Based on simple principles and instinctive movements, this reality-based system is designed to teach extremely effective self-defense in the shortest possible time. Learn Krav Maga to defend against common chokes, grabs, and strikes as well as more serious threats involving sticks, and knives. 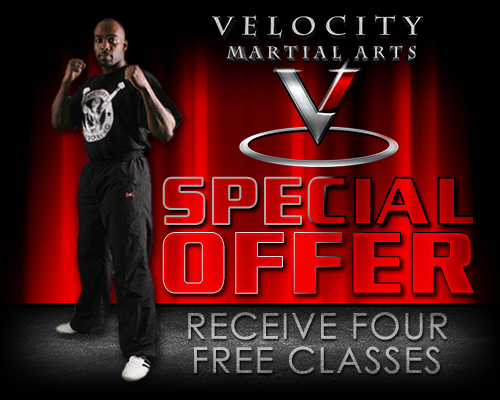 The instructors at Velocity teach people how to function during the stress and shock of a sudden, violent encounter. Our mission is to prepare our students for any and all dangerous situations. Tested on the battlefield and in the streets, Krav Maga’s practical approach to self-defense will make you safer and more secure. Try a self-defense course today and witness the changes in your mind and body.